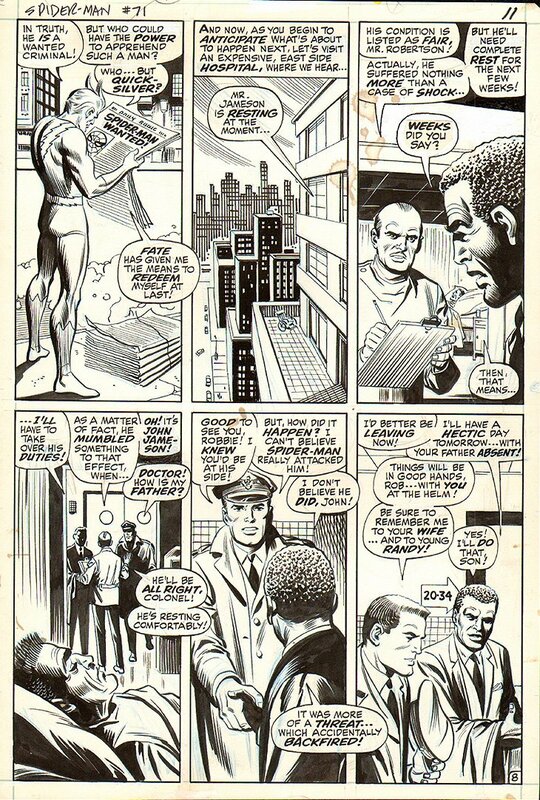 John Romita pencils with Jim Mooney inks, from the CLASSIC 1968 AMAZING SPIDERMAN story titled: "THE SPEEDSTER AND THE SPIDER!" I personally feel that Jim Mooney was the BEST inker EVER on JOHN ROMITA ASM art (next to Romita inking himself.) Mooney's inks are so detailed that the only inker I feel who inked better in the 1960s was Joe Sinnott!